Adventures in Training with a Purpose (ATP) was created to confront health and movement related issues in vulnerable populations who no longer have the benefit of paid rehabilitation. ATP is a nonprofit 501c(3) organization with the stated mission of working towards a world where no one is held prisoner to his/her health related limitations. The first word - Adventure, is intended to encourage participants to embark on an adventure that has no guarantees, but holds the promise that it will be challenging and meaningful. Training is the vessel builds an individual's armor and moves them towards the goal that will combine to create a fulfilling Purpose in life. 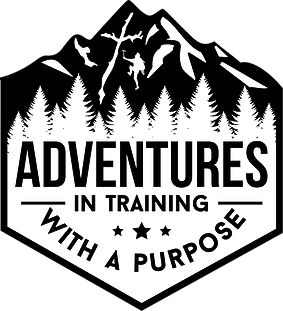 Adventures in Training with a Purpose (ATP) is a Christian endeavor focused on helping those most in need improve their quality of life through an adventure of purposeful physical training.